Sigiriya/ Kandalama – UNESCO protected ruin site & The Kandalama hotels, was constructed between 1992 – 95. Nuwara Eliya – Tea Plantation, Tea factory and Ramboda falls. In Nuwara Eliya, The Hill Club, which was built during 1876 during British as Gentleman’s Club. Golf Club and Gretory’s Lake. Bandarawela – Bandarawela Chapel, which is been done with the collaboration with UlrikPlesner. Fully glazed, its window frames forming the three crucifixes of the Calvary. Thangalla – The Last House, which is a luxury escape’s on the beach with antique finish. 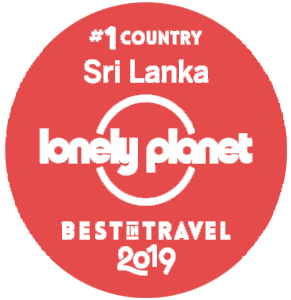 Bentota – Club Villa, a 19th century Dutch designed colonial boutique property, Bawa’sLunuganga Country residence and BavisBawa’s landscaped residence with an eclectic collection of arts and a sprawling scenic garden. Program Meet and greet by your chauffeur guide/representative, and drive to Dambulla, visit Rock Temple and visit Hotel Kandalama. Get settle at hotel for the evening. Program Early breakfast and climb UNESCO site Sigiriya Fortress Rock, and proceed to Kandy. Stop and Spice & Herbal Garden and Batik factory in Matale. Reach Kandy and visit Temple of the Tooth Relic, take a city tour and evening Cultural show at the Kandyan Cultural Center. Program Breakfast and visit Royal Botanical Garden in Peradeniya, proceed to Nuwara Eliya. Stops at Tea field, Tea factory and Ramboda falls. Get settled at hotel, refresh and take a city tour, visit Hill Club, Golf Club and spend the evening around Gregory’s lake. Program Early breakfast and proceed to Tangalle, stops at Bandarawela Chapel, Demodara 9 arch Colonial rail bridge, little Adams peak view point and Rawana fall in Ella. Reach Tangalla and visit The Last House. Program Breakfast and visit Lunuganga House, Brief Garden and Club Bentota Hotel in Bentota. Proceed to Colombo, en route visit Blue waters in Wadduwa. Reach Colombo and visit No.11 Colombo Residence. Program Breakfast and visit Sri Lanka Parliament. Transfer to Airport as per flight schedule.